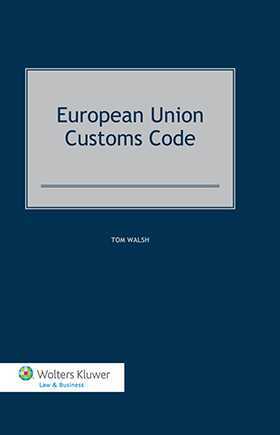 If you would like help in understanding the EU Customs Code, here is your answer. The author of this new book believes that identifiable and immutable principles of taxation and administration are at the heart of customs procedures and practices, and that they determine the broad framework of customs legislation. Based on this, he explains how these principles are enshrined in European customs law, and how they work in practice. He takes into account the full spectrum of laws interwoven with EU customs law, including EU treaty provisions, CJEU case law, international conventions, and national laws – both constitutional and criminal, along with authoritative commentaries from other experts. The result is a work covering every practical topic and issue stemming from the EU’s Community Customs Code (CCC), helping you make your legal decisions based on the latest knowledge. You’ll find out how the individual legal components interface and fuse with each other, the order in which they do so, and what legal effect they have within Member States’ legal systems. This work provides you with a unique source of information for the legal materials and authoritative interpretations available in this area. You’ll also find extensive cross-referencing notes to each CCC provision, leading directly to all related areas. the growth of electronic commerce – whether from a business, legal, administrative, or academic perspective.